This is a model of a DB four-axle express train passenger car painted and lettered for the Rheingold Express in 1962. The paint scheme and lettering are prototypical for Era III. The car has a different car number from that for 31310. The car has built-in interior details and interior lighting. The current pickup is done with ball bearing wheel sets. The doors can be opened. The car has metal wheel sets. Length over the buffers 80 cm / 31-1/2". 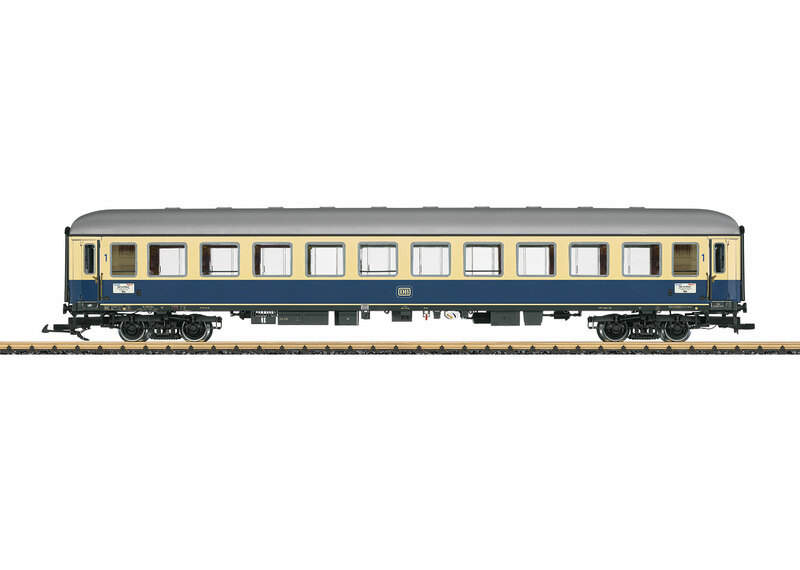 The class E 10 is the locomotive to go with this car and is available under item number 21751. Another car with a different car number to go with this car is available under item number 31310.